I decided to do a video about on this routine because, as of late I have been putting a lot of long hours in at work. (15-17 hours) My time is limited. This routine gave me what I needed to maintain what I have worked so hard for. It can be found int the March 2010 issue of Men’s Fitness WWE Chris Jericho is on the cover, the issue also has a really good chest routine. I gave it a four star rating because I felt it could have been a little bit more intense. However for a 30 minute workout it is solid. Perform 3 times per week, rest a day between each session. 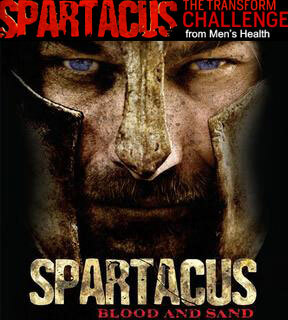 To increase the intensity for this workout shorten the rest between reps from 60 seconds, to 30 seconds or 15 seconds. Exercise of the Day: Clean & Jerk Full Body exercise. I ! @#$& hate this exercise, it’s one of the toughest exercise for me to do. It totally wipes me out! I think you really should try it. Note the form on this exercise it is important lift light to get the form right. Notes: Starting my batman career with my son Sylas. 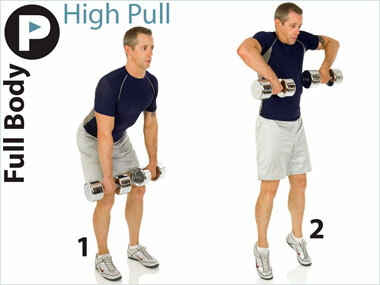 Exercise of the Day: High Pull. A full body workout. The trick to this exercise is pushing your hips up at the right moment to get the extra lift in the weights. Always start your routine with a 5-10 minute warm up. To make your warm up effective, you need to do movements that increase your heart rate and breathing like brisk walking or jogging. A good indication is warming up to the point where you have raised a light sweat. Notes: High Intensity truly pushes you to your limits. I have over come these exercises with sweat and will alone. 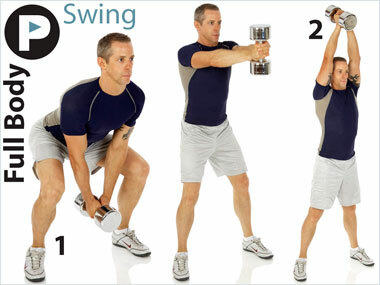 Exercise of the Day: Swing This is a full body exercise it looks like your chopping wood. 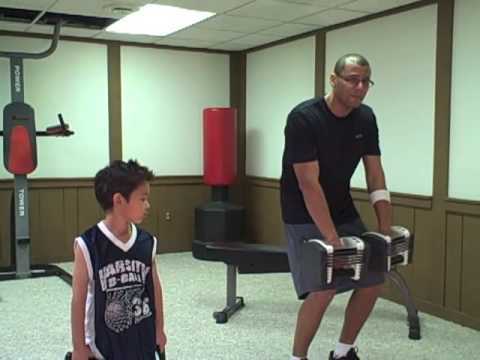 Another way of using a dumbbell that I wouldn’t have thought of. Summary of High Intensity Workouts: These exercises have truly pushed me to my limits and have given me excellent results. Next week FitnessBuilder Combo exercises and Dark Knight routine. Will I be able to take on crime afterward only the Natman knows.